Admin Bar is a toolbar to access admin tools and other features and other tools. You can find it at the top of the screen. So why should you disable WordPress Admin bar? If a website owner is an all-in-one: admin, copywriter, content manager, then there’s no need to hide anything. However, if there are many users with different roles then it becomes a real problem. Mostly, because of privacy and data protection. Also, there is a particular category of admins who prefer minimalism by all means. And they just want to disable WordPress Admin bar. Once it is done, the admin bar disappeared for good. 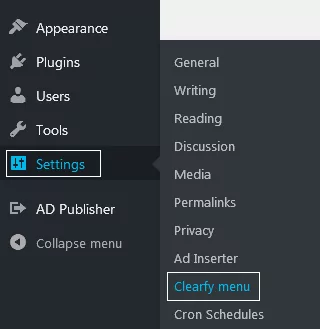 If you decide to disable WordPress admin bar consider using Clearfy. It’s a free plugin, you can find and download it from our website or using the WordPress repository. First things first: install the plugin, go to Settings => Clearfy menu. Open Advanced. Now scroll down a bit and find Admin Bar. Go through the general options inside the color box. If you want to go further, check options outside the color box. Those features are more advanced and purely aesthetic. Clearfy provides the intuitive and self-explanatory interface, so you can disable WordPress Admin bar in one click. You decide who can see the bar: no one or no one, except for the admin. You can customize Howdy, too. Activate the necessary option and fill in the new text. For example, Hello. Each option has its benefits. However, if you are not a professional then changing the code may be quite risky. For example, you need to find where functions.php is being stored. Then there is a chance that extra symbols sneak into the code, and the website stops working. But it’s not hard to search for Clearfy in Plugins, or repository, or our website. We recommend the last option because the Clearfy website (clearfy.pro) provides a lot of text tutorials and video guides on WordPress optimization.